If you’re a civic leader, chances are that you’ll have to facilitate a meeting. It could be for a community task force or an intergovernmental planning group. 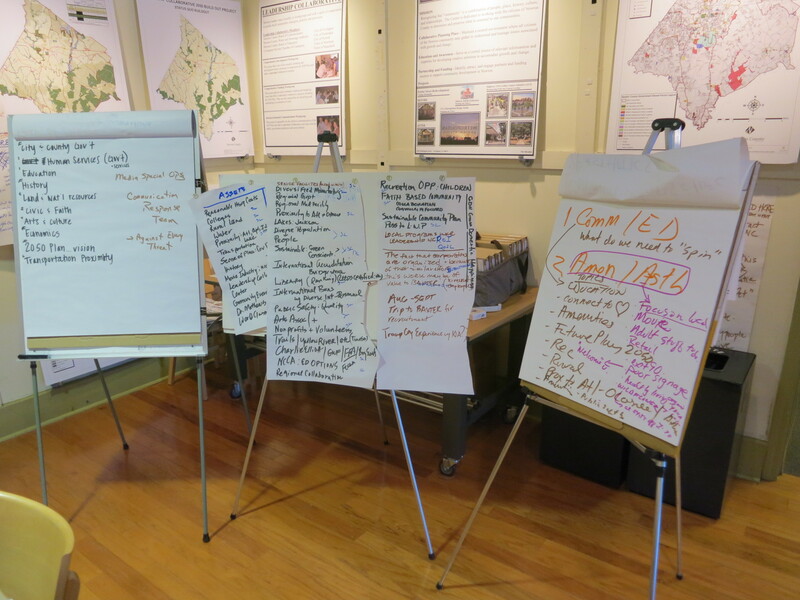 It might be a community visioning meeting or a nonprofit board planning retreat. However it happens, don’t be surprised to find yourself managing a group of people who are struggling toward a decision. You know how decision making works inside an organization or within a political setting, of course. A group makes a proposal, another group might argue against it, and a third group (the boss, the board, the city council) decides. Well, put aside that image. In the meetings I have in mind, there’s just one group, which explores the issue, discusses different solutions, and comes to a decision. If you’re the chair (or if the chair has asked you to facilitate), it’s your job to get this group through its fact-finding and discussion and to a decision. I’ll offer some pointers below, but first let me tell you why facilitation is growing in importance: We need more collaboration. Cities are increasingly archipelagos of dispersed power, and to bridge these islands of influence, we need people who can help independent decision makers think and act together. That can be you. Here, then, are some of the basics of structure, process, and coming to decision. Consider it a beginner’s guide to facilitation. If you have a day-long retreat, spend the morning discussing the current situation: basically, how we came to this place and how we’re positioned to deal with the issues we face. Many strategic planning sessions start out with a SWOT analysis (which stands for strengths, weaknesses, opportunities and threats). This can help participants understand the present before talking about the future. If you do a SWOT analysis, be sure to begin with the “OT” parts, the external opportunities and threats, before the “SW,” the internal strengths and weaknesses. This will help focus participants on the issues they face and avoid getting bogged down in blame-casting. As the discussion moves to the future, you’ll want the group to set goals before discussing strategies. This is harder than it sounds because most of us live in the “how” parts of our jobs, not the “what” parts. But if the group gets sidetracked by the details of doing, it will never focus on setting goals. Process: The most basic thing participants want in an important meeting is to be heard. Not just listened to, but heard and acknowledged. So find ways of doing this. When I facilitate meetings, I write down what people say on large flip charts. Others use laptops with overhead projectors. This isn’t just procedural. Recording what people say in such a visible way moves the meeting along, as people tend not to repeat themselves when their comments are on display. It also helps the group see connections among ideas, and that can help with decision making. Coming to decision: As the group discusses the future, try framing what participants say as alternatives. As these alternatives are fleshed out, post them on a wall, adding details as the discussion moves along. At some point, it may be obvious which alternative the group prefers. If not, you can ask the group to vote. Roll calls work, but a better way is dot voting, especially if there are a number of alternatives. You know the drill: You hand participants some colored dots and ask them to vote for the solutions they think are most viable. Dot voting is transparent, interactive, and surprisingly enjoyable. You’ll be impressed by how seriously participants study the alternatives. And when it’s done, the group’s decision will be as plain as the dots on the wall.